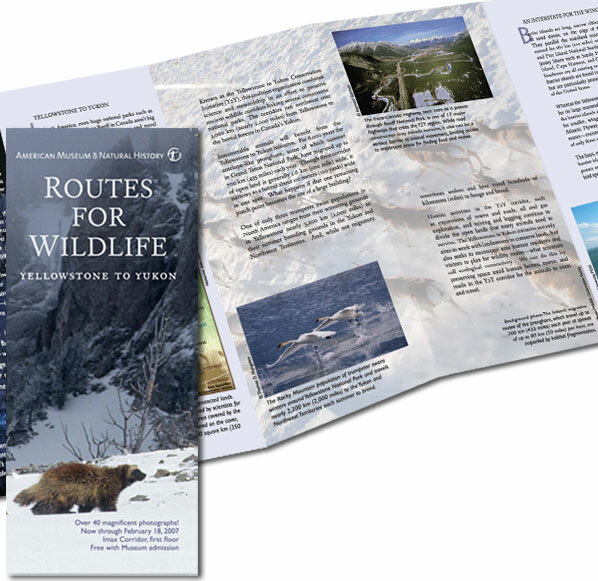 Accordion fold 27 x 9-inches brochure created to accompany the Yellowstone to Yukon (Y to Y) “Routes for Wildlife” exhibition at the American Museum of Natural History in New York City. The National Parks Conservation Association partnered with Y to Y on the photography exhibition. Yellowstone to Yukon is a collaborative awareness initiative to establish connecting corridors for migrating wildlife between Yellowstone National Park and the Yukon in Canada.